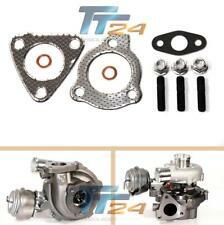 Turbocharger no. 784114 for 2.0 CRDi - Hyundai ix35, Tuscon, Kia Sportage. SERVIZIO DI REVISIONE DEL VS. TURBO. PREZZI ESCLUSI DI ATTUATORI E RICAMBI ELETTRONICI ! Item: Intercooler. Part number: 28270-2F400. 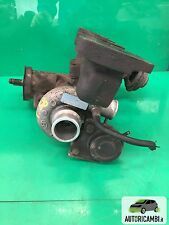 KIA PART NUMBER : 28270-2F650 / 28271-2F650. ANY FAULTY ITEM WILL NEED TO BE REPORTED TO US AS SOON AS POSSIBLE. SE LA TURBINA NON E' DISPONIBILE A MAGAZZINO POSSIAMO RIGENERARE. SEMPRE A NOSTRE SPESE CON IL CORRIERE. LA VOSTRA IN 24/48 ORE LAVORATIVE, DALL'ARRIVO NELLA NOSTRA SEDE. HYUNDAI H-1 & STAREX 2.5 TD. Costruito secondi i più alti standard e le specifiche tecniche della turbina originale. KIA PREGIO 2.5 TCI. 2820042010 2820042600 2820042610. Comparison numbers. 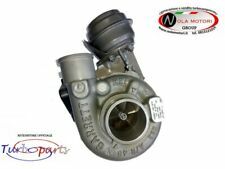 Turbo OEM part Nos. GTB1649V / 757886. 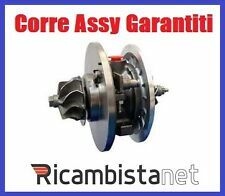 • KIA Carens II 2.0 CRDi 103 Kw 140 CV. • KIA Magentis 2.0 CRDi 103 Kw 140 CV. • Hyundai Elantra 2.0 CRDi 83 Kw 113 CV. • Hyundai Santa Fe 2.0 CRDi 83 Kw 113 CV. • Hyundai Sonata 2.0 CRDi 103 Kw 140 CV. 715924-1 / 715924-2 / 715924-3 / 715924-4 / 715924, 2820042610 715924-4, 715924-5 715924-6 715924-7 715924-8 715924-9, 28200-4260, turbo. Kia Pregio 2002-2006 2476 cm / 94 HP/ 69 kW. The boost setting must always be checked after fitting to comply with this warranty. HYUNDAI H100 2.5 CRDI 140 CV 1993 >. KIA H100 2.5 D 100 CV 2002>. KIA PREGIO 2.5 TCI 94 CV 1999>. KIA LIGHT TRUCK 2.5 D 100 CV 2002>. KIA PORTER 2.5 D 100 CV 2002>. KIA FRONTIER 2.5 D 100 CV 2002>. 715924 / 28200-42610 / 2820042 715843 / 28200-42600 / 2820042600 / 820042610. 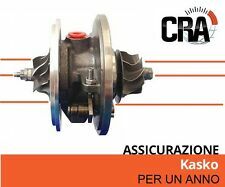 Turbo chra Anello dell'ugello ATTUATORE Kit guarnizione. • KIA FRONTIER 2.5 D 100 dal 2002. • KIA H100 2.5 D 100 dal 2002. 282702725X 28271-27250. 2.0 CRDI DIESEL. OE Number . You can find OE number on your used part. 28271-27251 28270-2725XMake sure your OE number is consistent with one of these numbers. Why is it worth to buy from us. 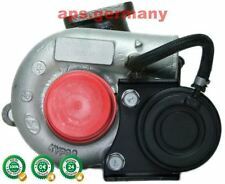 KIA SPORTAGE MK4 QL 1.7 CRDi Turbo Solenoid Actuator Valve 28235-2A610. Turbolader - Reparatur. Elektronik - Reparatur. Turbolader - Generalüberholt. Turbolader - Neu. Generalüberholter Turbolader für Ihren. - KIA oder HYUNDAI mit 2.0 CRDi Motor -. Der Einbau des Turboladers in einer Fachwerkstatt ist nicht erforderlich. INTERCOOLER KIA SPORTAGE 2.0 CRDI - OE: 2827127250 - NUEVO!!! 2827127250 - 2827127251 - 282702725X -. GARANTÍA DE FÁBRICA.